If we were to say that animals suffer from something, it would have to be excessive confidence. And it’s no wonder why: their masters love them so much that they usually manage to spoil their fluffy pals, fueling their self-belief. In scenarios, our quadruped friends feel that they can actually do anything in their power. But poor little ones just don’t realize that they can easily get injured whilst being on their mission to conquer the world. None of us wants to see their pet suffering from an injury, but we have to agree that these things happen. Luckily, insurance company Royal Automotive Club of Victoria (RACV) is here to help the furry darlings go through such cases. And, of course, to ease the pain of the masters who suffer alongside their pets. By partnering with CHE Proximity agency, the company launched a light-hearted integrated campaign that’s not like what you would expect from an insurance company. 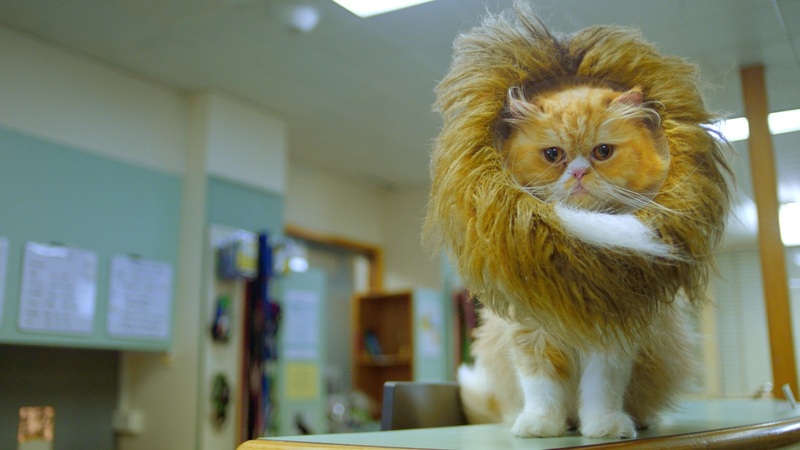 Instead of featuring clichés and cute puppies, the creative agency dug deep into the psyche of our household pets and revealed the fearless attitudes they hide. Although, it’s the exact same attitude that gets them into trouble. 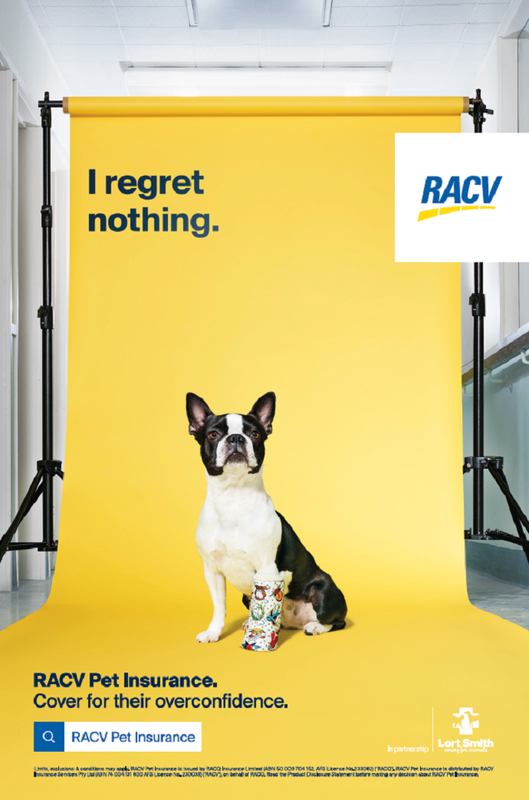 The campaign depicts how RACV covers pets for their overconfidence and enlists a range of various vet medical supplies that help these cute animals go through hard times. To bring this concept to life and raise awareness of under-insured pets, RACV worked closely with one of Australia’s most trusted animal hospitals, Lort Smith, and four globally-renowned artists and designers. 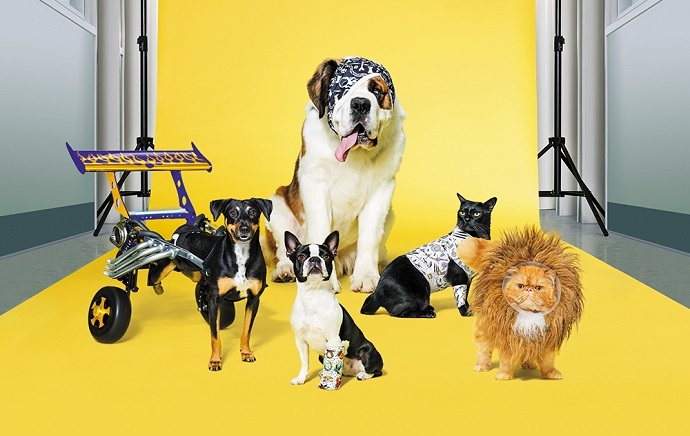 Responsible for creating veterinary supplies, the artists designed beautiful aids for the brave animals: a lion mane cone, a pet-cast that features a tattoo sleeve print, bandages with attitude, and lastly, an amped-up wheelchair. The company enlisted the talent of Tim Chappel, costumer designer from ‘Priscilla, Queen of the Desert;’ Gareth Davies, tattoo artist at Bondi Ink; James Jirat Patradoon, Heavy Metal Illustrator; and Dennis McCarthy, the man behind the car design from the ‘Fast & Furious’ films. The designers gathered all in one place to create one-of-a-kind costumes for the injured pets. So, beloved pets Lady, Leo, and Yasmina had all the pleasure to dress themselves with such art pieces. Besides wearing vet supplies with attitude, the animals received the insurance they needed to go on in their next silly adventures. “We understand the role pets play within the family and we really wanted to celebrate their unique personalities and their often overconfidence throughout our campaign. We saw a great brand alignment with Lort Smith who, like us, want to encourage responsible pet ownership, which includes getting pets insured, so that they are covered when their cat or dog needs medical attention,” said Laura Wilson, GM marketing and membership, RACV, in a press release. The partnership between RACV and Lort Smith translates as cute treats for your pets. Thousands of bold bandages and lion mane cones available to pets who come in for treatment with an RACV Pet Insurance Policy will be given away. Moreover, the campaign will not only be visible on animals only, but also online, on OOH, PR, digital, and other custom vet supplies. If you haven’t had enough of these cute videos, then check out the ‘making of’ video of the awesome wheelchair and learn what the artists had to do to ‘pimp’ Lady’s cute ride.